Whether your torsion spring is due for a replacement or you just need to locate the source of the noise your door makes when it opens or closes, Action Garage Door can help you with any of your garage door repair needs. Whether you’re preparing for some of the unpredictable Texas weather in Murphy or are worried about being able to lock up your garage and home properly, a malfunctioning garage door can make any home or business owner in Murphy nervous. The spring broke on my garage door and Jake was able to come out and take care of it for me same day. He was very friendly and professional and got the job completed quickly and well. Gate was fixed immediately. I was told of the problem and what it would cost. Agreed on the price and the problem was fixed. David was upfront and negotiated the price well. David was courteous and friendly. He made a quick analysis of the problem, provided clear explanations of details and pricing. He suggested options of repairs, he was orderly and quickly completed his work. He represents Actio Garage Door well. David was extremely cordial! Explained what broke and why then recommended options for repair. Would definitely recommend Action Door and will use again. 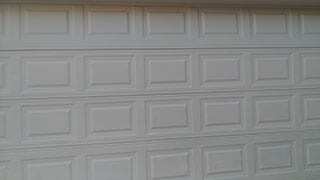 My elderly mom had her garage door installed by Plano Doors. They did a horrible job, as the door was collapsing. Ryan from Action Garage Doors saved the day. Thank you Ryan, and thank you Action. David did a great job. Excellent employee. Gate Repair, Replaced Fuse on Swinging Gate and Reset Travel & Force Limits! 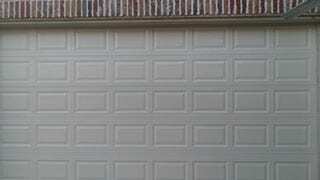 Garage Door Repair, Installed New Liftmaster Opener, and Programmed New Keypad as Well as Applied a Door Tune up! Garage Door Repair, Installed 2 New Torsion Springs, End Bearings and Rollers as well as Applied a Door & Opener Tune up! Garage Door Repair, Installed Torsion Spring, End Bearings and Center Bearing as Well as Applied a Door Tune up! How do you know if you would benefit from repair vs. replacement? Our technicians can inspect your door for you and let you know what you would most benefit from. Chances are high that if it’s just one faulty part on your door, a little repair is all you need. Replacement may be necessary if the door itself is compromised or broken. If you’re looking to install a brand new garage door, we do that too. No matter what repairs are needed, Action Garage Door will get the job done. Our technicians are trained to handle the tough jobs, including handling torsion and extension springs. You can also trust the work that our technicians do and their credibility since we perform a background check on them. When it comes to your garage door, we know what to do and how to do it. Whether it’s a simple repair or an emergency, call Action Garage Door for all of your garage door repair needs. You can reach us by phone or contact us online.